Jeco was started by Jim Carrigan in 1998 to answer the demand for custom wood finishing in the cabinet making and construction industries. 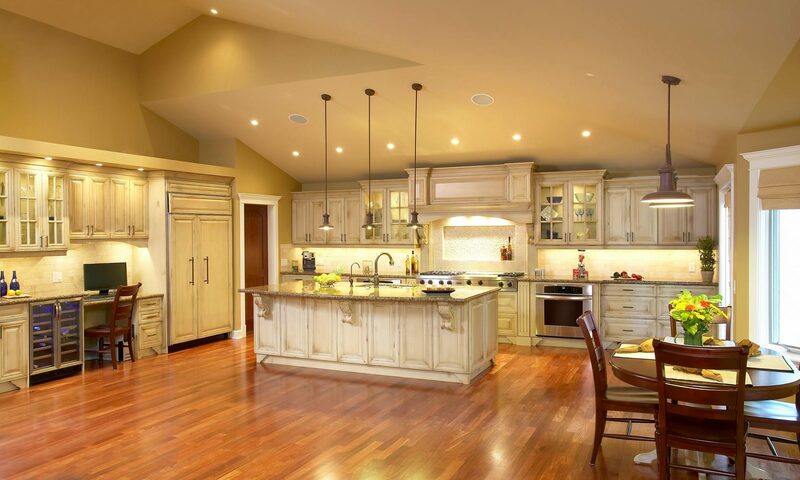 As the cabinet makers have been moving away from site building and finishing over the years, the demand for shop finished or prefinished cabinetry has increased dramatically. The benefits of this approach are reduced construction times for custom homes, dangerous and flammable substances remaining in a controlled environment and reduced health hazards from fumes and gasses onsite. Jeco strongly believes that the highest quality finishes are achieved in a properly controlled environment where proper ventilation and handling of products is optimal. Another issue is the proper handling and disposal of waste materials (thinners, gunwash etc.). Jeco responsibly recycles all left over or unusable product and waste thinner is collected in drums and sent to Swan Hills for processing. This sadly is not always the case with site finishers. Waste has been known to be poured into backfill on the building site or poured over the waste bins to end up in landfill. Jeco finishing has grown over the years into it’s current facility, a 6300 square foot shop that is the largest independent finishing shop in Southern Alberta. We have 1 large booth and 1 regular sized booth along with dust collection, downdraft sanding tables and vacuum sanders. We use the latest finishing technology and handle projects of all sizes. Our shipping/receiving area has a ramp for drive up and a loading dock for large trucks. We carefully inspect all finished product before we pack everything in foam wrap for customer pick up. Our experience in the industry and our qualified staff make us the premier finishing shop in Calgary and area.